•Physical safety is a concern for all hazards and may involve sheltering or evacuating. Escape Routes: Draw a floor plan of your home. Establish a place to meet after the evacuation. Make sure children understand the drawing/meeting place. Sheltering facts: Choose a shelter location. Have Emergency Supply Kit available. Your family may not be together when disaster strikes, so plan how you will contact one another. Think about how you will communicate in different situations. Complete a contact card for each family member; keep these cards handy in a wallet, purse or backpack, etc. 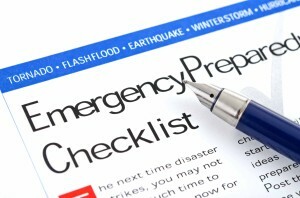 •Make an emergency supply kit to be prepared for any type of disaster. •Learn about receiving emergency alerts. Switzerland County Emergency Management is on Facebook and Twitter. You can also sign up to receive emergency notifications by phone, text, or email at NIXLE.com.